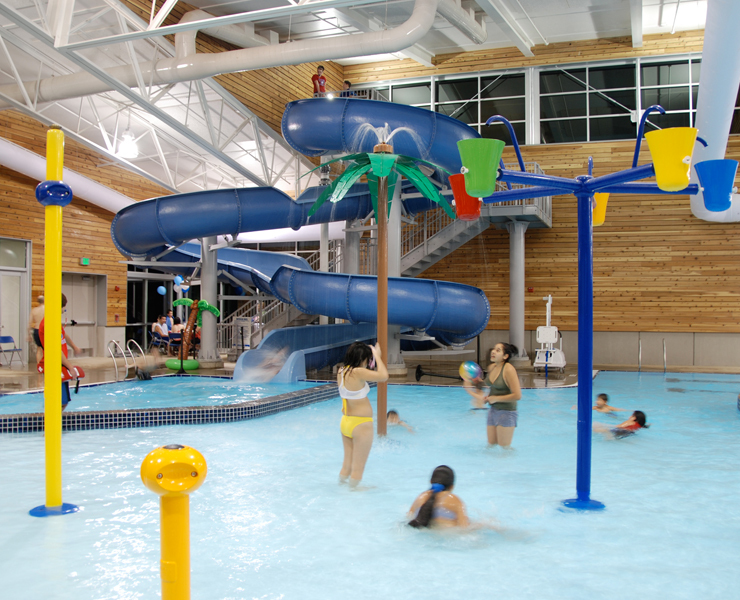 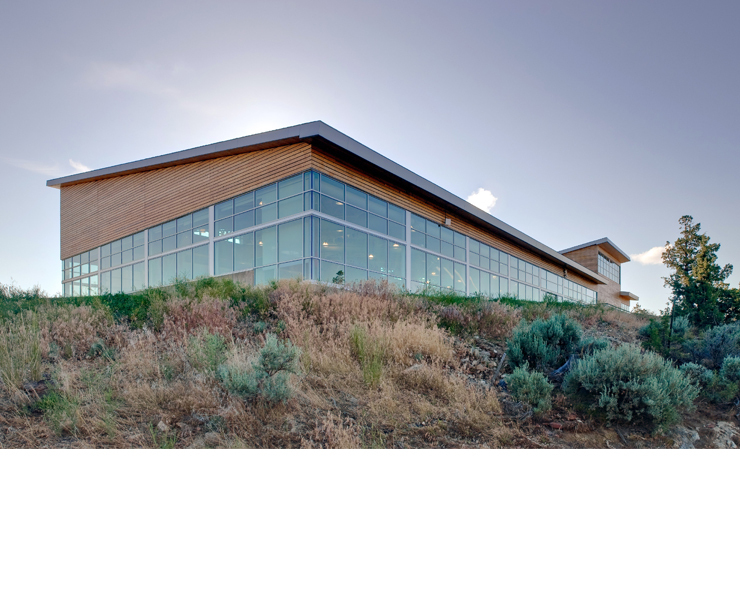 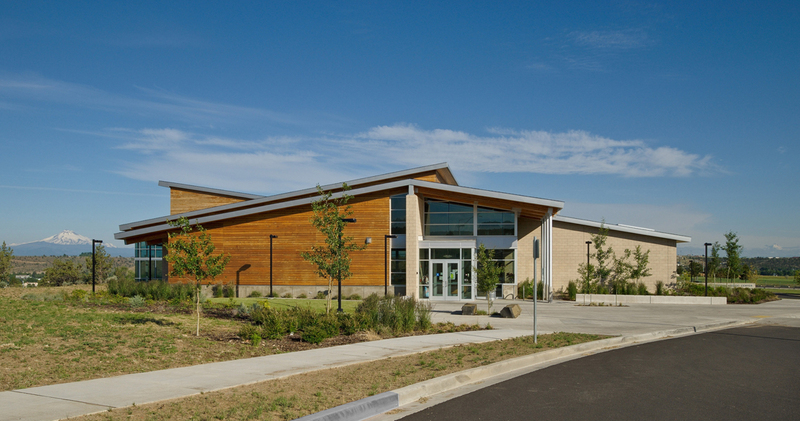 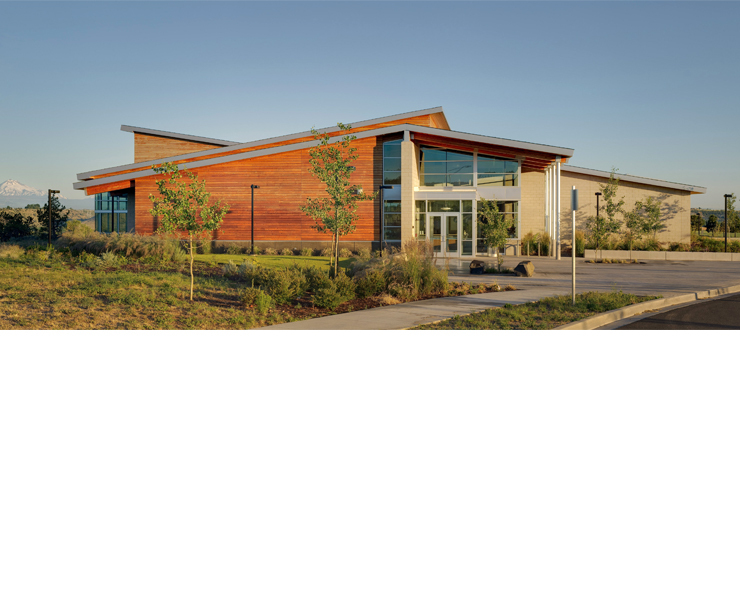 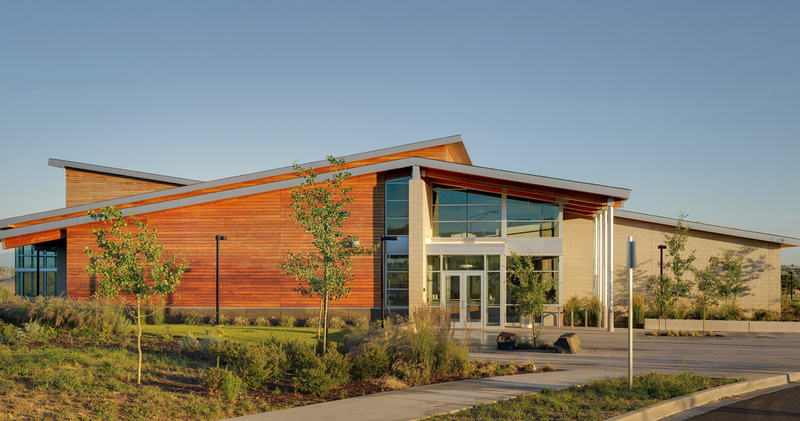 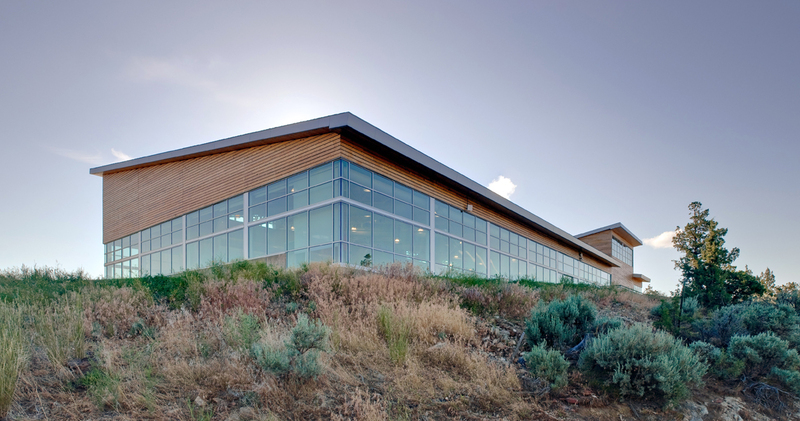 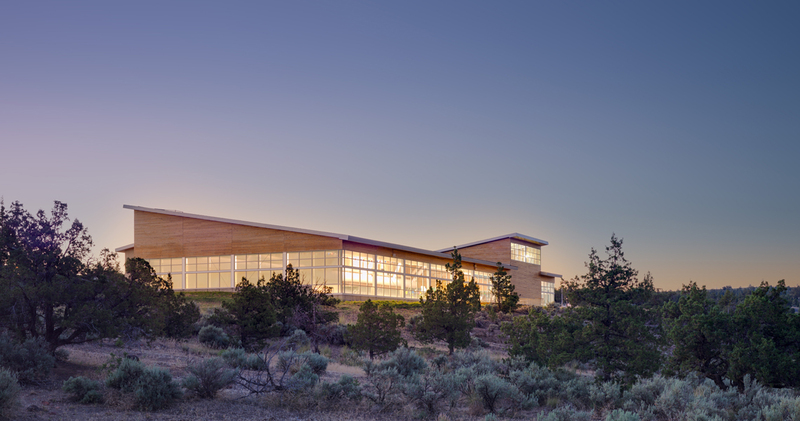 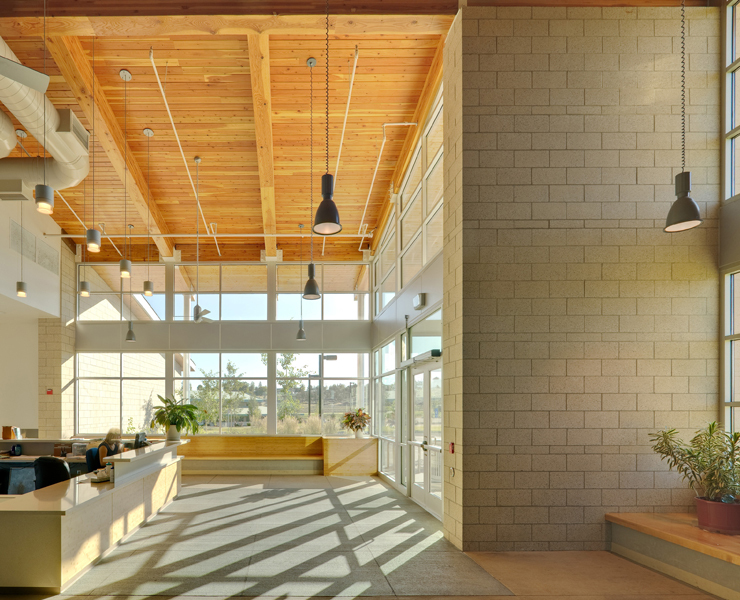 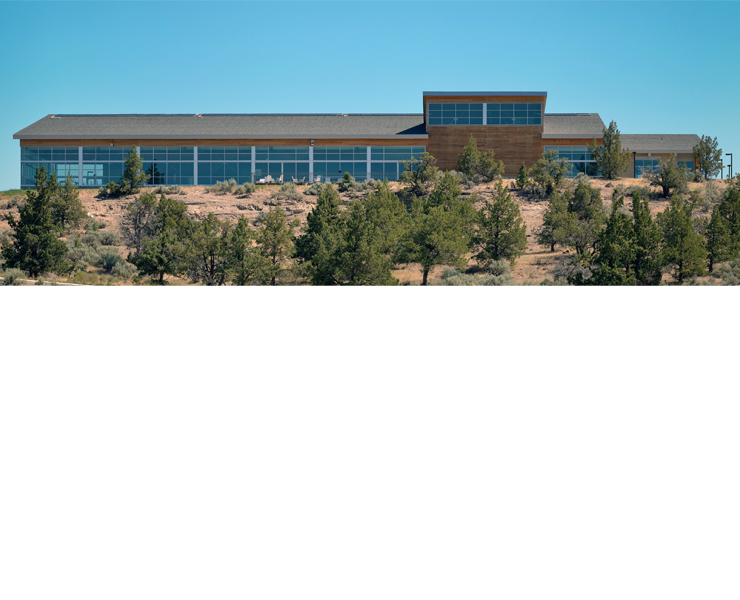 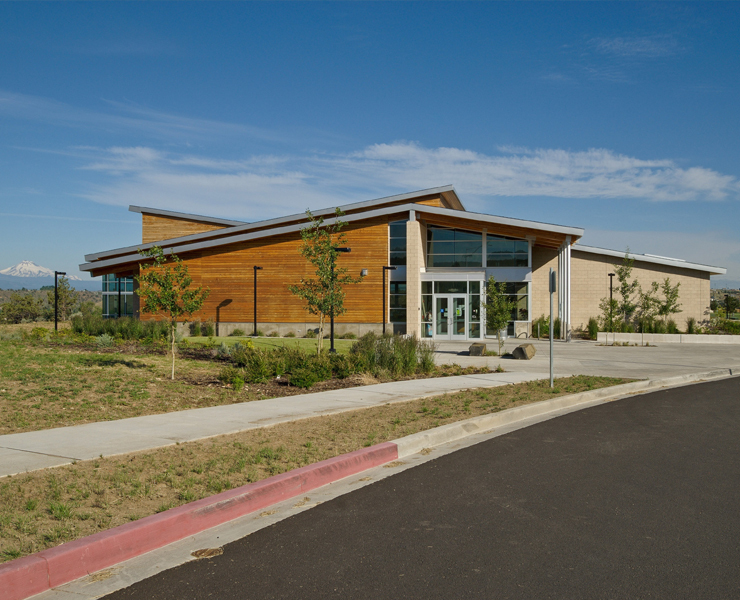 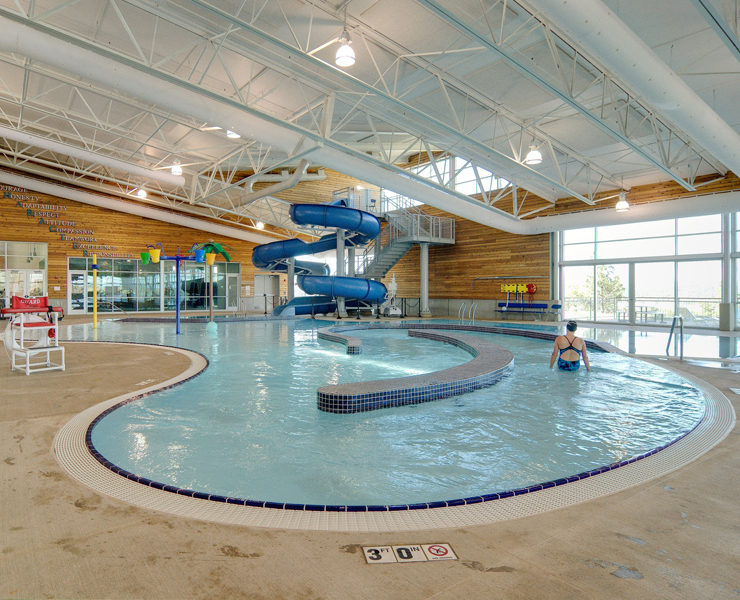 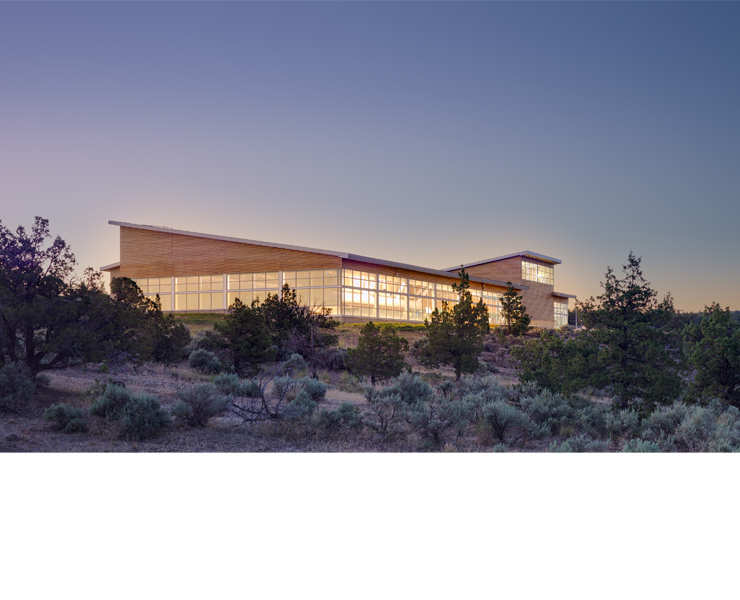 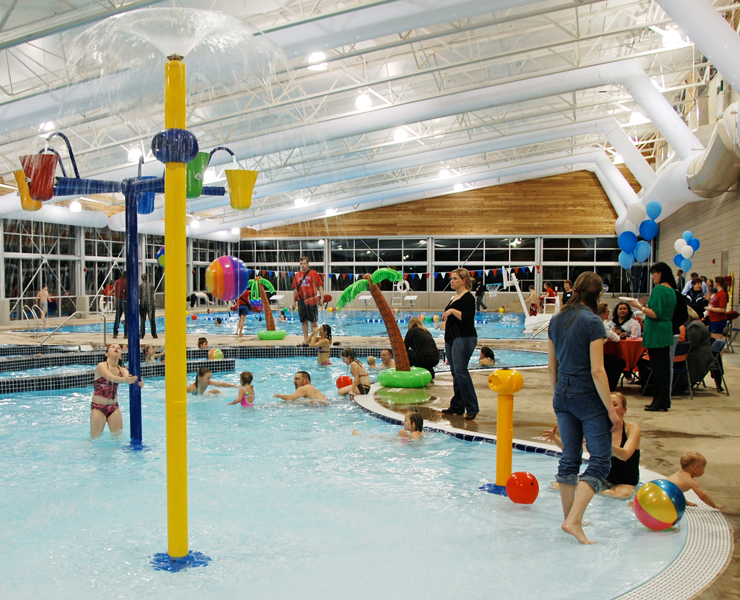 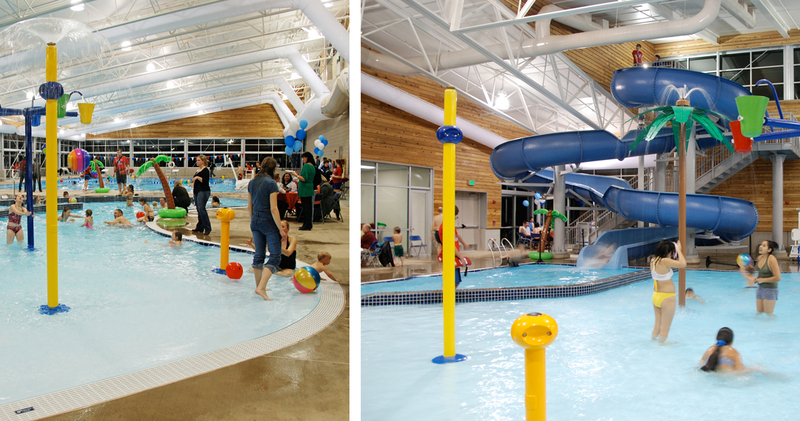 Opsis Architecture collaborated with Water Technology Inc. to provide comprehensive design services for the Madras Aquatic Center, an $8 million project funded through a community bond measure. 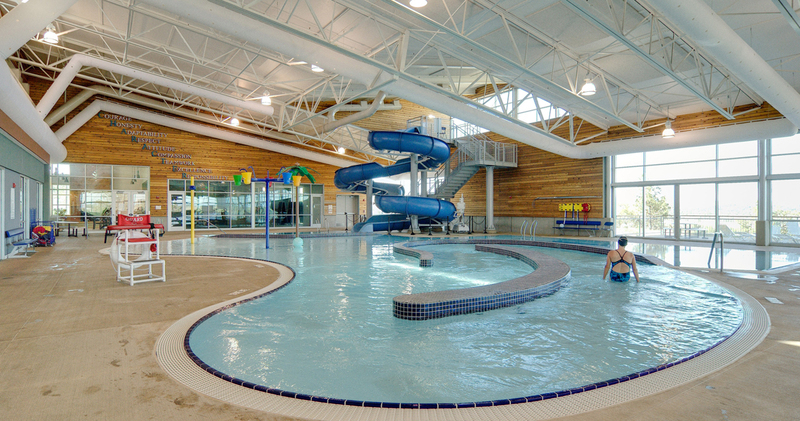 The 27,100 sf facility includes a recreation pool for play, therapy and swim lessons, a whirlpool, and a six-lane lap pool that can accommodate high school practice and swim meets. 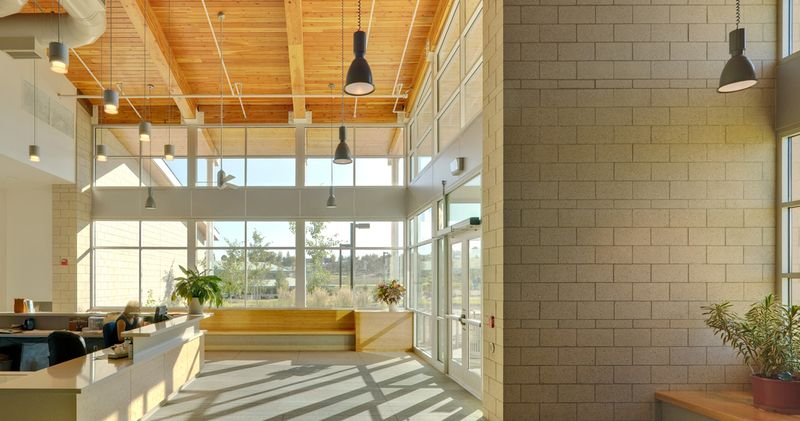 Sustainable design features are incorporated throughout the facility to maximize energy efficiency, serving as a model for responsible development. 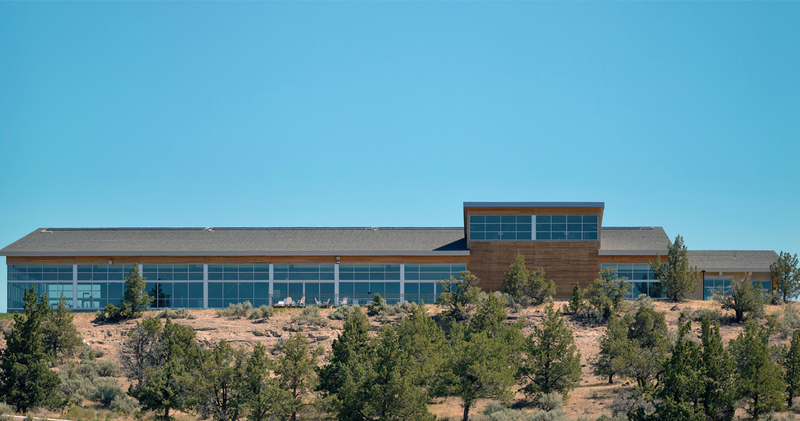 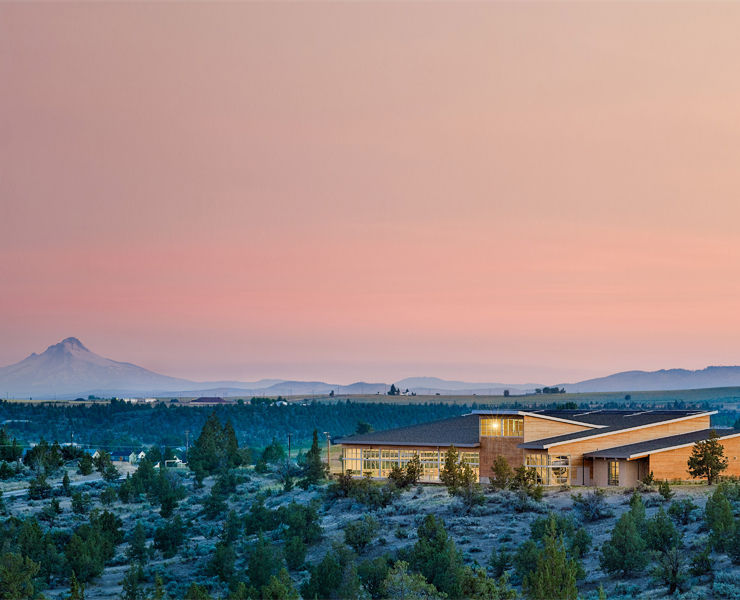 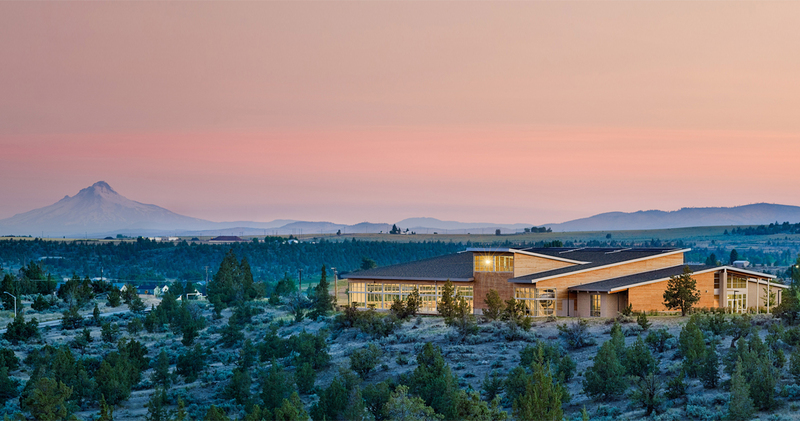 The simple material palate relates to the surrounding high desert environment through the natural wood elements and was designed to be durable and long lasting. 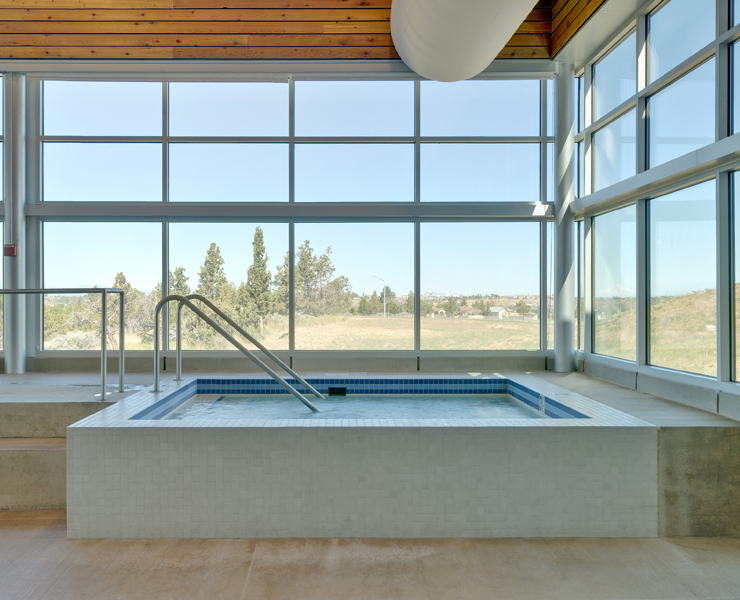 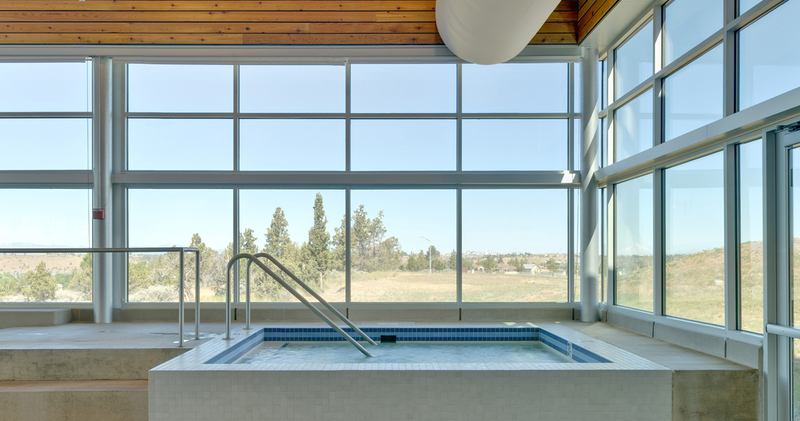 A large expanse of glazing provides stunning views from the pool areas out to the surrounding landscape and the snow capped cascades in the distance.